GBMB Insurance Agency, LLC. DBA Grona Boles Martin Bloxsom Insurance was formed in 1983 by Hayden Grona and Jerry Boles. The agency was formed to provide business, as well as, personal insurance services to the San Antonio and surrounding communities. 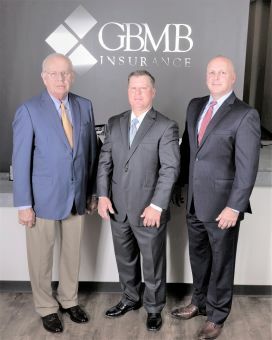 In 1997, the agency expanded into the Life and Health insurance field with the addition of Bill Martin, and in 2001, Chris Bloxsom brought his personal lines expertise to the agency and rounded out the GBMB name. We are proud to say we have clients whom we have served for 10, 15 and 20 plus years. We also enjoy experienced and loyal staff members who have been with the agency an equal number of years. In 1997, the agency became a Charter Member of Combined Agents of America, LLC (CAA), which has grown to 60 agency members throughout Texas, Oklahoma, Kansas, Nebraska and Missourri and produces approximately $750 Million in property and casualty premium. CAA currently works with 18 of the largest insurance companies in the nation and is ranked #6 on Insurance Journal’s Top 20 list of largest agency partnerships in the nation. This affiliation essentially allows us full access to the insurance marketplace; thus the ability to provide our clients with the most competitive terms and services from the most quality insurance carriers.